Returning to the World Finance 100, the diversified multinational Vale is the second-largest mining player in the world. 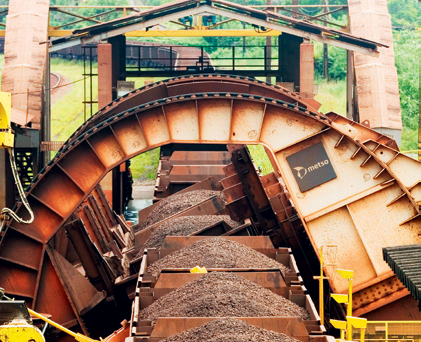 It ranks as the biggest producer of iron ore and pellets, and it also produces manganese, ferroalloys, copper, bauxite, potash, kaolin, alumina and aluminium. In addition, Vale operates within the logistics, energy and steelmaking sectors. Headquartered in Rio de Janeiro, the company is present in 38 countries across five continents including North America, Europe, Africa and Asia. In late 2011, Vale introduced its first demonstration plant using a new efficient and more sustainable method, called Tecnored, involving pig iron production.